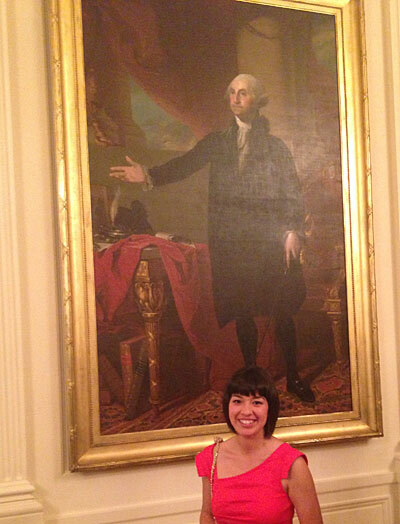 As I waited there to meet the president at a White House Pride Month Reception last Friday, I reflected on my life and opportunities that countless others like me seek. I am an undocumented immigrant whose parents worked several jobs to help support our family and give my brother and me chances we couldn’t have dreamed of in Mexico. And I would be shaking hands with the nation’s leader. I was 2 years old when my parents, wanting nothing more than to improve our lives, brought me to America. We soon headed to the San Francisco Bay area, where my parents held jobs in construction, did cleaning, and washed dishes in restaurants to save enough money to move away from the couch we shared in a friend’s home into our own one-bedroom apartment. School became a top priority. I worked hard to earn high grades and make it into the University of California, Davis, knowing that my parents had sacrificed so much to pay for my education. But I was constantly afraid, wondering whether my teachers and peers would see me differently if they knew that I was undocumented. Adding to this anxiety were the stories I constantly heard from my peers and the media. I grew up in a world where immigration raids were taking place at workplaces, at schools, and even in the “safety” of our homes. The hour between 5 and 6 a.m. was when immigration raids are usually conducted in homes. I typically spent that hour awake in bed, panicking that our family could be next. Discriminatory laws, such as California’s Proposition 187, Arizona’s Senate Bill 1070, Alabama’s House Bill 56, and the federal “Secure Communities” policy were approved, instilling anxiety in all immigrants, whether documented or not. Of course, there also were legal attacks on lesbian, gay, bisexual, transgender, and queer people in the form of “don’t ask, don’t tell” and the federal Defense of Marriage Act. And while I acknowledge that our communities have had their share of triumphs, the setbacks have made growing up in this world as an undocumented queer woman of color a constant struggle. Since I first learned at the age of 16 that I am an undocumented immigrant, I have lived with a constant, abiding fear that affects every moment of my life. I never dared to truly dream that I would escape that fear until December 15, 2012, when everything I had felt and known was turned upside down — my life changed. Late that afternoon, I received a text message from U.S. Citizenship and Immigration Services that would, for the first time in years, allow me a sense of ease. As soon as I realized what the text message meant, I rushed to my computer to check my case status. As soon as I saw the word “approved,” I handed the computer over to my partner, who immediately had tears of joy in her eyes. It was the response to my application for President Obama’s DACA program, which allows young people who were brought to the country as children to apply for relief from deportation and for two-year renewable work permits. I checked my DACA approval status again and again. With shaky hands, I grabbed my phone to call my parents. Their reactions were just as I had expected. While my father congratulated me and sighed in relief, my mother started to cry. She told me that my news was the best Christmas and birthday present she had ever received. Throughout the rest of that day, I had a series of random thoughts pop into my head. What are the hours for the local Social Security office? Should I have my bangs to the side for my driver’s license photo? Will leasing an apartment become an easier process? Will I still feel slightly nervous any time I see a police officer? That night I went to sleep calmly knowing that a new life awaited me. While I am now embarking on a new chapter in my life, I am keenly aware of the many others who still live in constant uncertainty because of our broken immigration policy. Right now Congress is deep in the process of negotiating reforms to the nation’s immigration system. The proposals being considered would create pathways to citizenship for undocumented immigrants, including DREAMers, and could include crucial provisions for LGBTQ immigrants. I am hopeful that Congress uses this opportunity to fix our immigration system and give others living in the shadows the chance I’ve been given to navigate through society. Over the years, I have become accustomed to how my identities as an undocumented queer woman of color overlap and intersect. But now I am an undocumented queer woman of color with a work permit and a greater sense of hope for others like me. As I stood in line at the White House, thinking about what I wanted to say, how I wanted to thank President Obama for his support of the LGBTQ and immigrant communities, I was struggling to control my emotions. CARLA LOPEZ is a DREAMer whose application for the DACA program was recently granted. She now works at the National Center for Lesbian Rights as a program assistant and hopes to become a mental health social worker. She resides in the San Francisco Bay area.